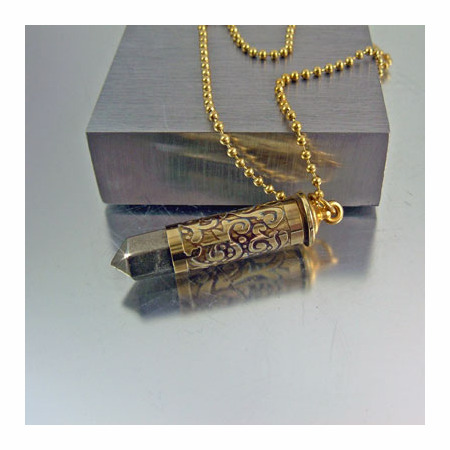 A .38SPL recycled bullet shell which stands out for its unique and stylish design. 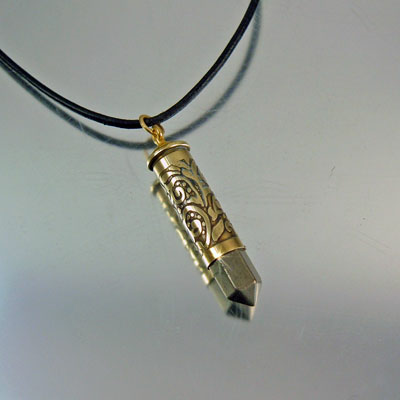 A design which can be worn by either a man or woman. 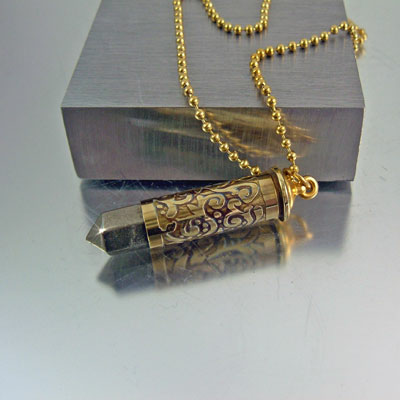 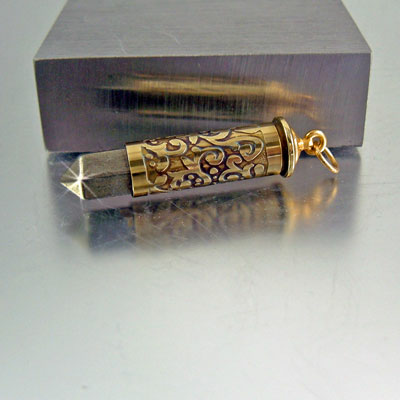 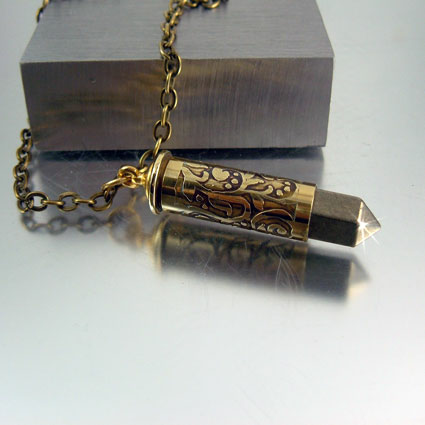 The Pyrite faceted gemstone tip accents the design on brass in a sophisticated manner speaking for itself.